Looking for the best dental clinic in Thailand? Check out our Phuket dentist reviews and discover expertise at prices you can afford. This clinic is a subsidiary of the Bangkok International Dental Center – the award-winning clinic accredited with the Joint Commission International (JCI) – and delivers an extensive range of dental services in a modern environment. Minutes away from the Jungceylon shopping mall, you can take your mind off your numbed mouth and indulge in a spot of retail therapy as a reward. The A B Dental Care Clinic is located inside the Jungceylon shopping mall and is a contemporary, bright and airy facility that makes light work of dental problems from tooth decay to complete smile makeovers. The dentists here are highly skilled, combining dentistry with art to ensure you get the smile you want and deserve. This clinic is located right on the beach at Patong – perfect for those who like to recuperate by soaking up the sun’s rays by lying on the beach. Part of the Bangkok Smile Dental Group (that was the first dental clinic in Thailand to be certificated with the Joint Commission International), Sea Smile offers a full range of general and specialist dental care. From cosmetic dentistry, such as laser teeth whitening, to bad breath problems, the Sea Smile has the expertise and skills to turn your dental health problems around. Smile Signature Phuket is one of 5 branches of this clinic in Thailand. Delivering a one-stop location to cover all your oral health needs, the team of dentists here are a multidisciplinary team who work together to cover all areas of dentistry. As one of the pioneers of dental tourism in Thailand, they have extensive awareness on the requirements of international clients, ensuring expediency and exceptionally high-standards are part of their ethos. From check-ups to full mouth rehabilitation, Smile Signature, Phuket will restore your smile and your confidence. Another good-quality dental clinic just a few minutes walk away from Patong Beach, Promjai Dental Clinic has been delivering exceptionally high standards of dentistry for nearly 30 years. A modern clinic equipped with state-of-the-art technology, including CEREC 3D, and a team of internationally-trained dentists who hail from Australia, Europe and the USA ensure your dental care will go without a hitch. Experts at delivering gentle dentistry, you will be in safe hands with a team who will put you at your ease. 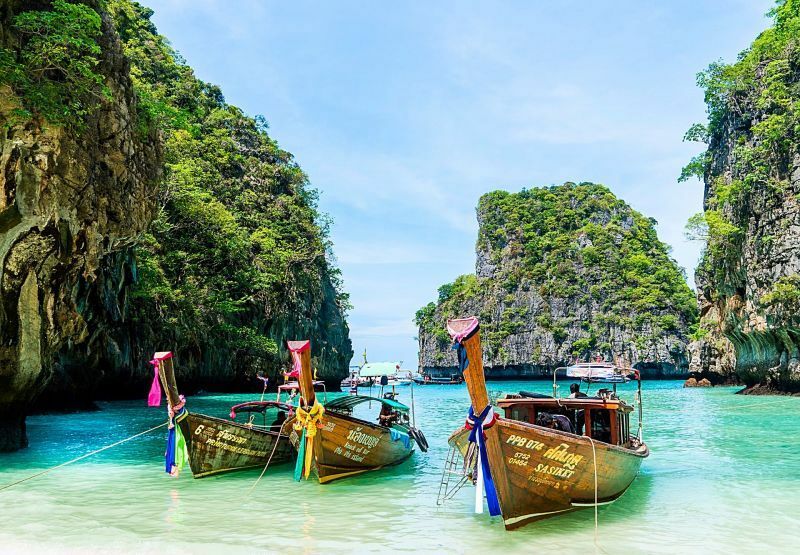 Thailand is a world-renowned tourist destination, and Phuket a favourite of many visitors. Chic hotels, exquisite spas, vibrant nightlife, a fascinating culture and, of course, the famed beaches deliver the right mix for a wonderful vacation – and not to mention the great shopping, stylish restaurants and vast amount of leisure activities. You know that you’ll have a fantastic holiday in Phuket, but don’t get carried away and be sure to check those dentist recommendations thoroughly before you book. You don’t want to spoil your vacation with bad dental work because you haven’t done your research. Amanda Duffy is an expert in the field of medical and dental tourism having written extensively on the subject for a number of years. She is currently a key figure on the editorial team at Medical and Dental Departures. Considering dental holidays? Phuket fits the bill.